Be heard clearly with the industry’s best noise canceling. Enjoy the full benefit of any telecommunications application. Get better results with voice recognition software. Sound like you’re in a private office, even if you’re not. Just plug in the USB connection and you’re good to go. Wear all day in complete comfort. Connect, communicate, and collaborate clearly. With all the communication options in your office arsenal—from VoIP to video conferencing to speech recognition—voice quality is more important than ever. VXi designed the Envoy™ UC to give you best-in class sound quality so you can make the most of every interaction, no matter the medium. Be heard clearly with the industry’s best noise canceling—guaranteed. Enjoy the full benefit of any telecommunications application. Get better results with voice recognition software. Sound like you’re in a private office, even when you’re not. Just plug in the USB connection and you’re good to go. Control volume and answer, end, or mute calls with inline controls. Wear all day in complete comfort. 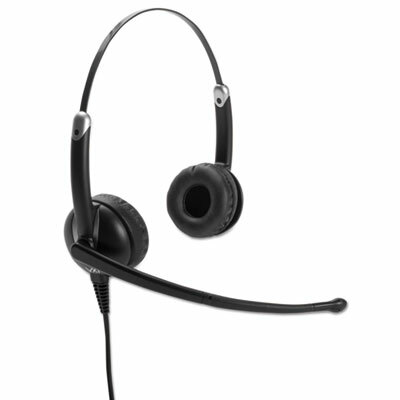 Click here to see more Headsets!